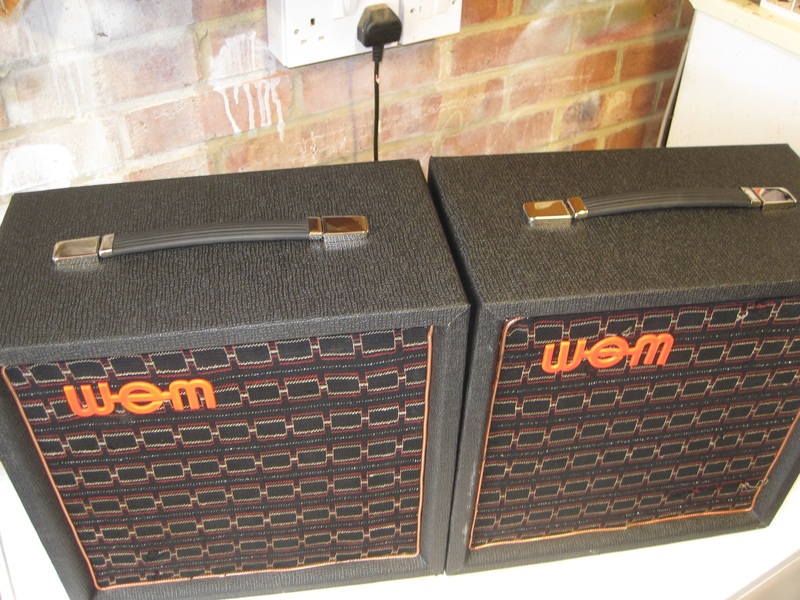 These 1×12 PA cabs have undergone major restoration. 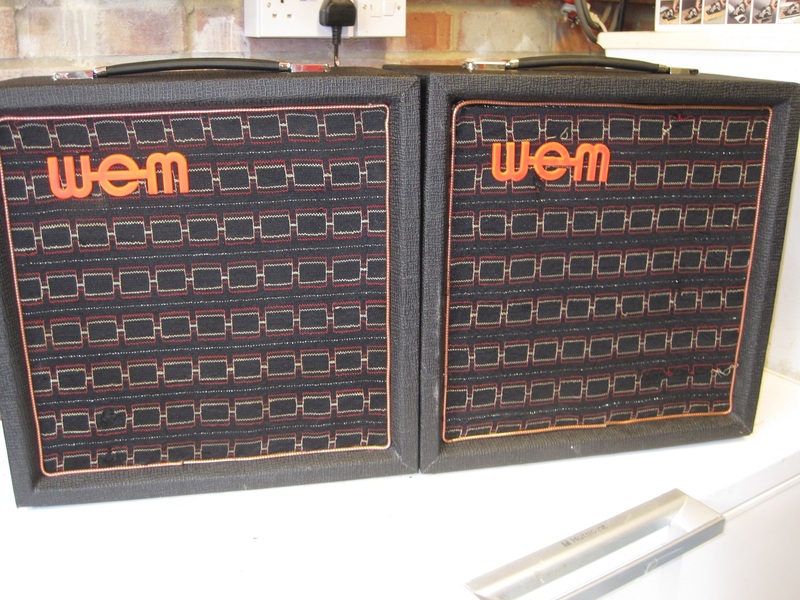 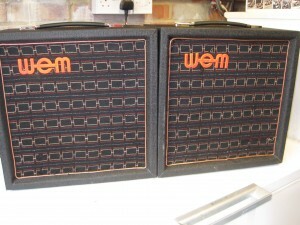 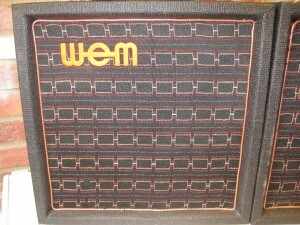 They originally had no tolex, no grill cloth, no handles, no drivers, no feet, and no jack socket cup and connectors. In other words, they were basically just empty wooden shells. 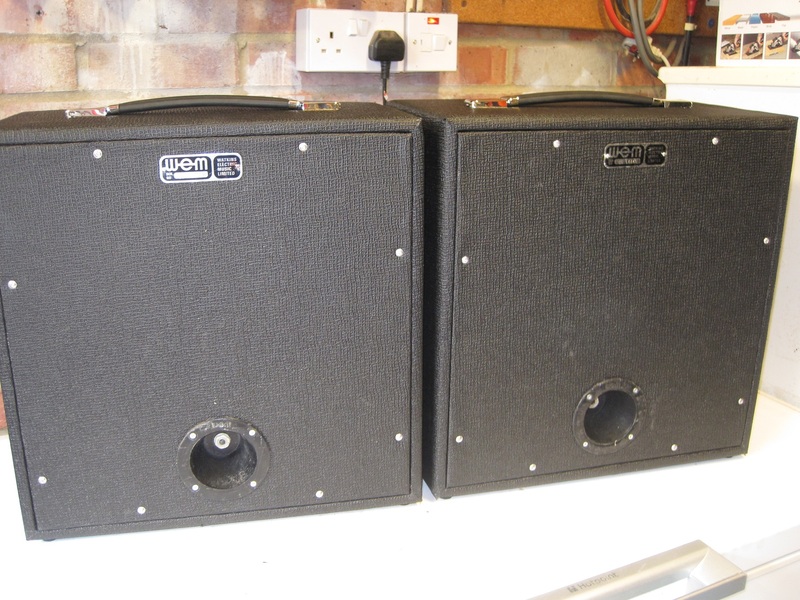 As I didn’t have any 1x12s in my collection but I did have various parts salvaged from other cabs, I decided to undertake the major work needed to get them looking and sounding good again. 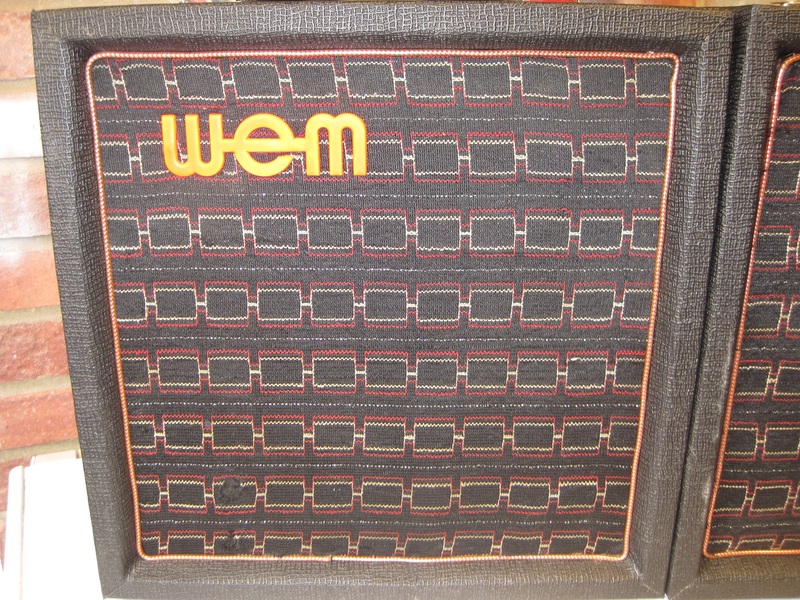 Fortunately, the only things I had to purchase were some basket-weave tolex and some screws. 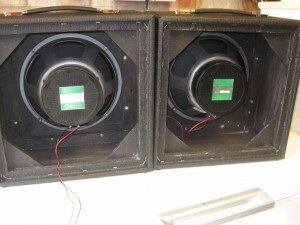 They now look and sound good. 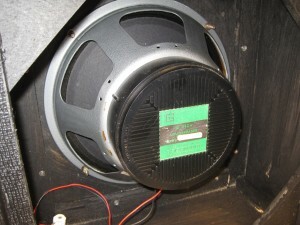 The drivers are Goodmans and came from some Vendetta columns that were completely beyond repair. 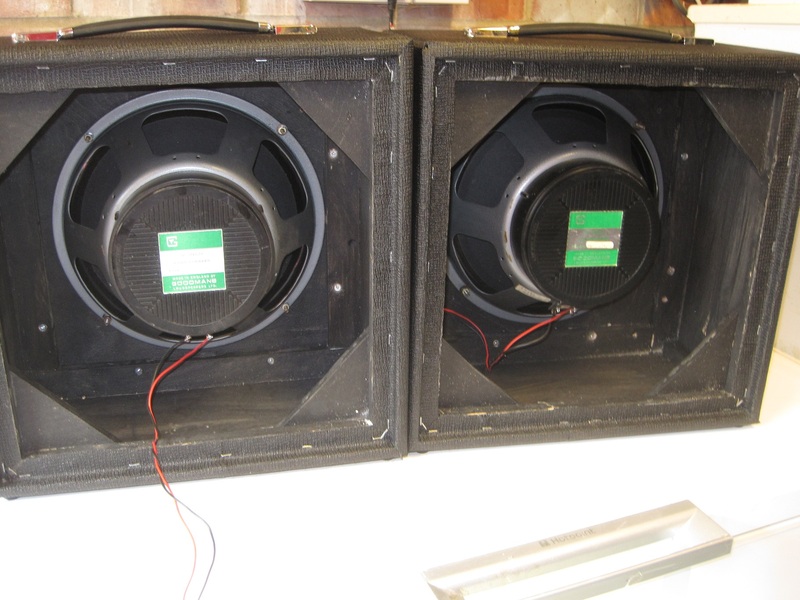 They are 50 watts and 12 ohms each. 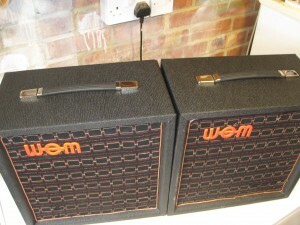 I’m very pleased with the outcome, especially as 95% of the parts used came from WEM cabs originally.